Do you or a loved one suffer from fibromyalgia syndrome (FMS)? Then you understand the physical, mental and emotional toll it takes. Widespread muscle and joint pain, insomnia, fatigue, headaches, anxiety, depression and the list goes on… But there is good news. 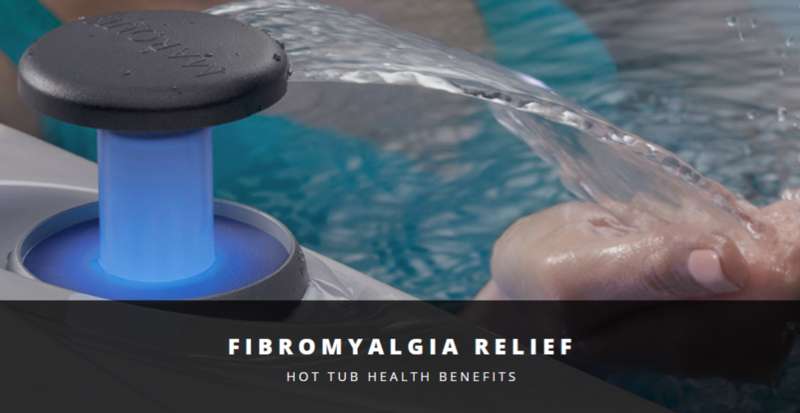 Evidence suggests that warm water hydrotherapy, coupled with moderate exercise, can have significant benefits for people with FMS. A 2009 study published in the Journal of Pain Research commented: “There is strong evidence for the use of hydrotherapy in the management of FMS.” For at least 12 weeks, study participants engaged in two to four hydrotherapy sessions per week, each lasting from 30 to 60 minutes. Sessions included a warm up, cool down and relaxation period. Exercise involved moderate contraction and relaxation of different muscle groups in a structured and organized manner, with a 60-80% maximum heart rate. What was the result? Hydrotherapy has the added benefit of helping with insomnia and chronic fatigue. One to two hours before bedtime, soaking in a hot tub for 15-20 minutes helps to relax the body and mind, calm nervous tension and induce the body’s natural sleep mechanics. You can further enhance these effects by adding the benefits of spa therapy. Marquis offers spa-compatible aromatherapy products made from natural blends of minerals, herbs and botanicals. Great for the body and mind, plus they make your skin feel soft and supple. We invite you to consider hydrotherapy, moderate warm water exercise and spa therapy as part of your treatment strategy. To experience the benefits of hot tub ownership, speak with one of our hot tub experts about which spa is right for you.